In 1512, after the capture of Malacca, Albuquerque sent three ships: Santa Catarina, Sabaia and anunnamed caravel in search of the primary sources ofthe most popular spices. 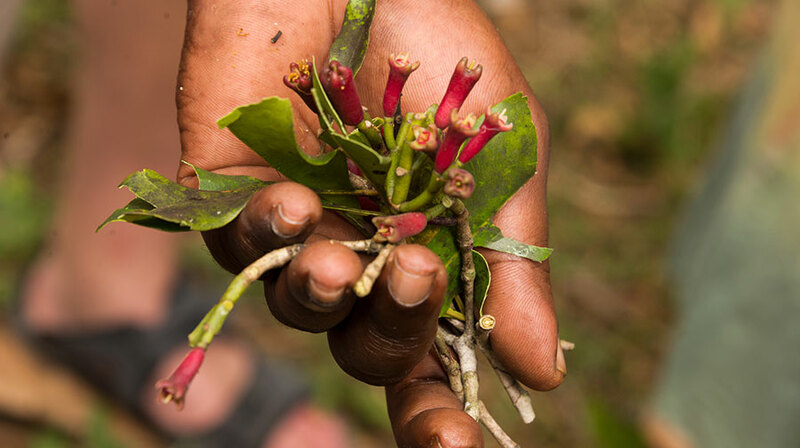 Clove was thought to come from "Ternate Island" and nutmeg and mace from "The Banda Islands." Sailing the uncharted north coast of Java using only rising volcanoes above terraced rice fields as landmarks, Sabaia hit the Madura Reef in East Java. The other two remaining ships continued eastward past the Islands of Bali, Lombok, and Sumbawa until they reached the Larantuka Cape. They named the island Cabo de Flores or the "Cape of Flowers" after the vivid red flamboyant trees that grows in abundance along the peninsula. Unable to sail northwest to Clove Island or "Ternate", they turned south toward the Banda Islands. 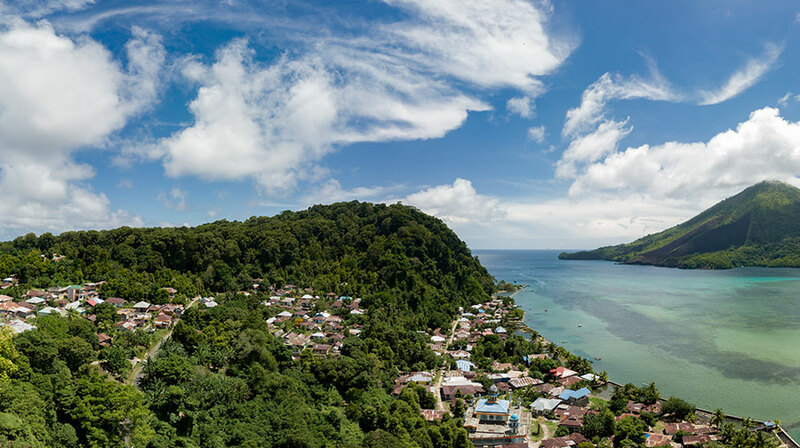 As they anchored at the foot of Banda Gunung Api volcano that forms the center of the islands, the Portuguese could see that the islands were covered with evergreen nutmeg trees and large walnuts trees. Nutmeg is a fleshy apricot-like fruit. The aromatic spice comes from the nut when it is grated, while the bright red outer covering of the seed is known as mace. They loaded their ship and returned to Malacca. A storm hit which force the ships to seek shelter in the small islet of Lucipara Shoals. The Portuguese ambushed local pirates and forced them to take them north to Ambon Island. Sultan Bolief of the Ternate Kingdom heard about the arrival of Portuguese to Ambon and he invited them to Ternate with nine "Kora-kora", large outriggers canoe manned by up to 100 rowing warriors. Flying colorful flags and banners, they traveled north to the steady beat of drums and cymbals sounding out a rhythm of the rowers. With the wind in the right direction, the Portuguese sailors could smell the sweet aroma of cloves, the aromatic flower buds of a tree, coming from the islands even before they reached their destination. 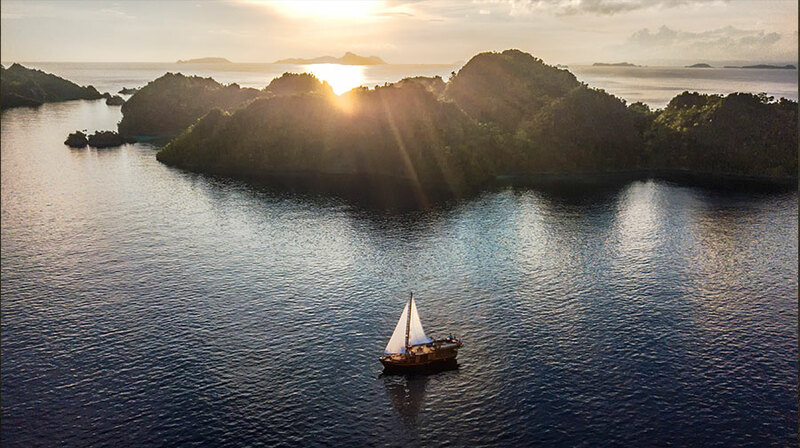 The two vessels sailed toward Flores and made a safe anchorage in the Solor to collect sandalwood and return safety to Malacca, one year after they had left. An expedition of 14 vessels departed from Holland in 1602 headed to the East Indies. Four years later, 13 vessels arrived in Bandanaira Island under the command of Admiral Pieterszoon Verhoeven. They had one objective; to monopolize the world's most valuable spices "nutmeg and mace." They soon discovered that Captain William Keeling, an Englishman, was already there to trade with the Bandanese. Unhappy with the English presence and fearful of the Bandanese who earlier rejected to exclusively trade with the Dutch, Verhoeven arrived in Banda with 300 soldiers to claim and complete Fort Nassau. 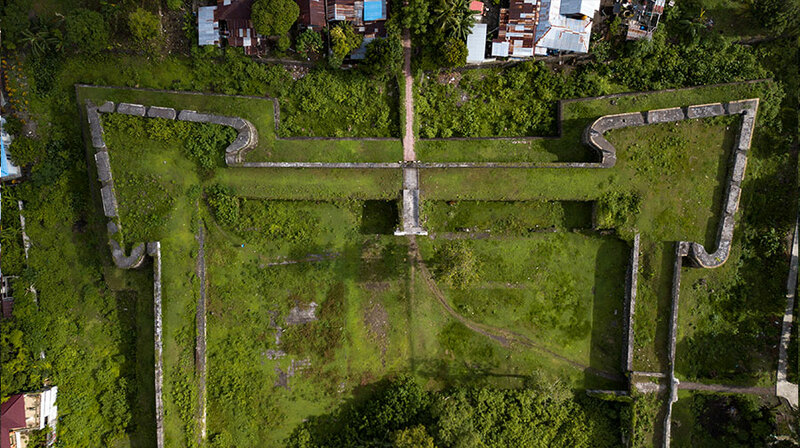 The Portuguese had arrived decades earlier but never finished construction of the fort because the Bandanese strongly opposed a monopoly of the spice trade. The Bandanese Chiefs were concerned with this construction and demanded a meeting in with Admiral Verhoeven. When the meeting time came, the Chiefs did not show because the Dutch Admiral had so many armed soldiers with him. Ultimately, the Chiefs convinced Verhoeven to meet without his soldiers only to be killed along with 27 of his fellow Dutchmen. This deadly meeting became known as the "1609 Banda Massacre." Admiral Simon Janszoon Coen replaced Verhoeven and finished the construction of Fort Nassau. Coen was a national hero in Holland after he established Batavia (Jakarta) as the headquarters for the Dutch East Indies. A famed quote of his from 1618, "Despair not, spare your enemies not, for God is with us", illustrates his single-minded ruthlessness. Coen directed that his men slaughter nearly the entire population of 14,000 Banda island natives sparing only 480 to work the nutmeg plantations. Coen succeeded in monopolizing the spice trade for Holland and is now rightfully memorialized as the man who massacred the native population of Banda Island. The English also held claim to the nearby small island of "Run" which the Dutch wanted to control. In one of the most ill conceived colonial land transactions, the British gave the Dutch control of this tiny island in 1667 in exchange for the Island of Manhattan, which is now part of New York City. In 1810, the British appeared at Bandanaira and attacked Belgica Castle at sunrise. 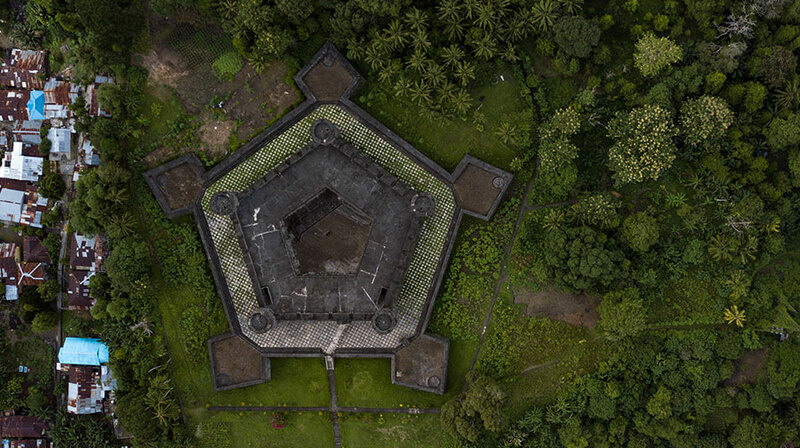 The battle was over within hours with the Dutch surrendering Fort Nassau and, within days, the remainder of the Banda Islands. After the Dutch surrender, Captain Charles Foote was appointed Lieutenant Governor of the Banda Islands. This action was a prelude to Britain's invasion of Java in 1811. Before the Dutch retook control of the islands, the British removed many nutmeg trees and transplanted them to Ceylon and other British colonies. These alternative sources largely destroyed the value of spices found in the Banda Islands for the Dutch. 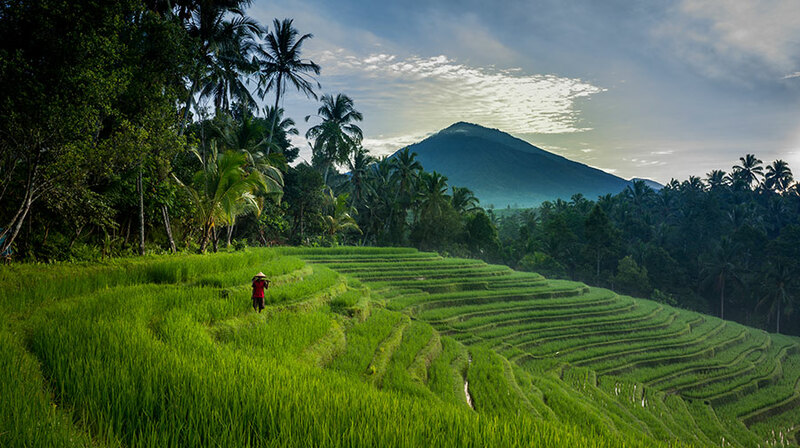 Today, Indonesia as a destination is little known to the world, except the islands of God Bali. 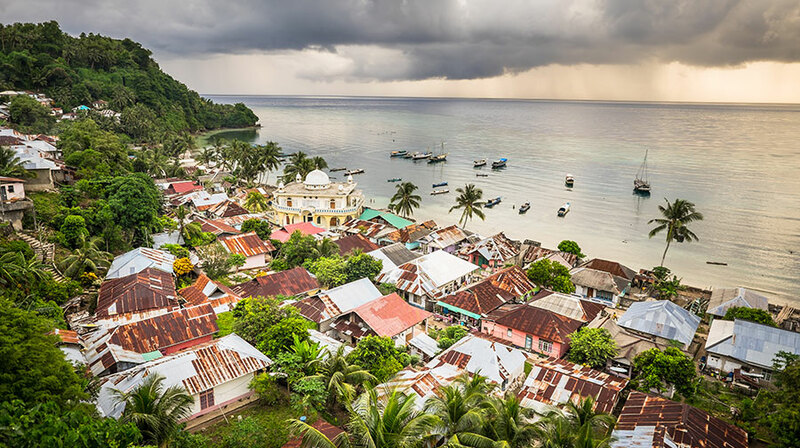 Many travelers are familiar with the exotic beauty of the islands of Sumatera, Borneo, Java, Flores, Papua and more recently Komodo and Sumba Island. All of these spectacular islands are within Indonesia's boarder. The fabled Spice Islands were no longer the uncharted trade destination to British and European sailors. It is the archipelago of wonder for you to explore. Images are taken by Tania Araujo, Nala Rinaldo, and Yessi Sari.